Registered Patent Attorney. Associate at Orrick, Herrington & Sutcliffe LLP. Former international entrepreneur. Started or operated businesses in Russia, Czech Republic, Hungary, Taiwan and the UK. —Advised and represented Fortune 500 companies, including FUJIFILM and Oracle in ITC cases and patent litigation. Served as co-counsel with IBM in ITC matter. o Taken and defended depositions; drafted subpoenas and motions; conducted case law and opposition research. o Participated in discovery and opposing counsel meet-and-confers. o Proposed successful primary litigation strategies to Joint Defense Groups. —Drafted IP portions of purchase agreements for multiple M&A transactions in the high tech field. o Drafted for deals including mergers and asset purchases. § Reviewed patents, trademarks, copyrights and associated licenses; ensured trade secret protections in place. § Examined contracts with employees, contractors, customers and vendors to ensure clean transfer of all IP assets. § Negotiated international asset reclassifications and transfers where necessary. § Drafted pre-closing agreements for trade secret protection where necessary. § Reviewed software for unacceptable license agreements (e.g. copyleft licenses in code). o Directly advised a client negotiating a Chinese joint venture agreement by way of an acquisition target. —Successfully litigated a patent plaintiff action on behalf of a client video game company in California’s Central District (TimePlay v Audience Entertainment LLC, CACD 2-15-cv-05202). 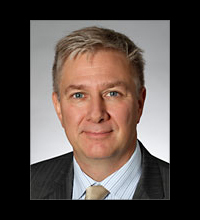 o Plaintiff action in which defendant was represented by Mark Lemley of Durie Tangri. o Drafted a successful defense to defendant’s 101 Alice challenge. o Drafted infringement contentions; drafted initial claim constructions. o Settled case prior to Markman including a stipulated permanent injunction against defendant. —Defended an international aircraft manufacturer in a patent matter. o Developed a successful defense involving physical embodiments of prior art. § Researched FAA files to discover still existing prior art exemplars. § Interviewed surviving owners of prior art exemplars. § Took statements of invalidating use by surviving owners. § Collected cotemporaneous evidence of invalidating use. o Hired two teams of engineers and photographers to travel to sites in Chicago and Vermont to photograph and digitally scan two prior art exemplars. § Oversight of both teams. § Coordinated, collected and drafted reports for use in negotiations. o Settled matter on terms acceptable to client. —Prosecuted patents in signals processing, software, biotech, and industrial chemical processing. —Advised oil industry group on copyright issues. —Advised major European software services company on trademark issues as applied to antitrust for ongoing offensive international negotiations. —Appointed Co-Head of Orrick’s Video Game Group; multiple past and on-going speaking engagements. —CEO/Founder. More than 400 contract employees in over 50 countries. —Projects developed in up to 45 languages, requiring translation, proofing, verification and engineering. —Titles include megaprojects such as Star Wars, Call of Duty, Civilization, Railroad Tycoon and others. Primary client: Nokia. —CEO/Founder. Published, distributed and sold over 56 titles to the general public, including The Parent's Guide to Raising Bilingual Children. — Premiere contract house for videogame industry; turnkey development of user manuals and strategy guides. o Clients include Electronic Arts, Disney, Take 2 Interactive and THQ. o Headquartered on Wilshire Boulevard in Los Angeles. o Total of six fulltime employees and over 50 contractors. —CEO/Founder. Largest computer technology distribution house in Russia outside of Moscow. Contracts with Apple Computer, Microsoft, Acer, American Power Conversion and others. Developed a sales territory throughout Eastern Russia to Novosibirsk. — Exclusive representative of Apple Computer in Eastern Russia. —Official Apple Representative in the Former U.S.S.R. Head of Sales and Channel Development. Developed chain of retailers and specialists throughout the region from scratch. By 1995, this chain was producing more than $28 million annually in total sales. Fractional profit and loss responsibilities. — Extensive travel throughout Russia, Latvia, Lithuania, Belarus, Georgia. — Interface with Apple officers in Cupertino, Holland, UK, Italy and Singapore. • Lead author, "Microbial Forensics: The Greatest Thing Since DNA?" published in Criminal Law Bulletin. • Witkin Award (top grade in class), Business Associations. • Recipient of the Bruce Wolk Scholarship for application of science and mathematics to law. • Member of the elite Integrated Science Program. •	All honors studies in mathematics, physics, chemistry and biology. •	Unoffical minor in economics.